Few people remember that The Passion of Joan of Arc ends with a rousing action sequence. It’s as good, in its own way, as anything Eisenstein ever did, yet with its own very unique character. Dreyer, unlike Eisenstein, is linking shots which create a fluid meaning yet, pregnant with a kind of integral power, could also stand alone – they are not dependent on their connections with one another for their sense of purpose. This is Dreyer’s approach throughout Passion, neither foregrounding montage nor mise en scene, or rather foregrounding both – the propulsive music of his editing and the graceful aura of each individual close-up. Sometimes I feel that cutting between close-ups robs us of the power in character interaction, in which two different people share the same space. Not here: the intensity of the back-and-forth not only suits the subject matter, in which Joan is isolated (“alone with God” as she puts it) against her interrogators, it also carries a sharp aesthetic power, the power, perhaps, of individual realities, states of consciousness which share the same space but not the same experience (hence, in a visual medium which communicates the metaphysical by way of the physical, not even the same space). At any rate, viewers tend to forget, or not talk about, the violent conclusion because what comes before is so overpowering, so fundamentally sound and right, that it puts even this riveting finale to shame. The Passion of Joan of Arc is much like Joan herself, at least as she’s represented in this film: so pure and sure of itself, so able to allow to its inner integrity to dictate its every choice and action, that it shines like a beacon from the screen, right back at the projector which cast it out, as if to challenge and discredit its genesis in mere material. This work carries the spiritual in every frame, not in the sense of mystification, but its opposite: pure experience of the transcendental, without need of recourse to the abstract or obscuratantist. It may seem that this is just what I’m doing here: abstracting, obscuring; I am, after all, dancing about architecture. Let me try to be more lucid. One can watch and “study” (the only right way to study is to truly watch) any number of movies to learn how to make films. In most cases, even the great ones, you are learning tricks, sleights-of-hands and conjuring acts to evoke a mood or reaction in the viewer. From Hitchcock to Welles to Bergman to Antonioni to whoever, whether the filmmaker crafts blockbusters or art movies, they are engaging in the art of illusion, make-believe in some sense. And the viewers are their collaborators – filling in the gaps which the work creates, meeting the movies halfway to create an experience. Oftentimes this is praised, perhaps rightly so, as difficulty or complexity – and movies which “do the work for the viewer” are frowned upon. Yet The Passion of Joan of Arc is just such a movie in its finest moments – when we meet Joan, when her judges loom over her, and us, the film does not need to ask us to make a leap of faith. This is not a work of imagination, but of direct experience. Watching Dreyer, we do not learn how to craft, we learn how to see – he makes us a gift of our eyes. This is a film of considerable sophistication (a lavish set was built, and the financiers were furious when the director refused to include any wide shots of the expensive décor). Yet it is also, fundamentally, at its heart, truly simple. The expressions of the actors (exaggerations which, through sheer conviction and the unwavering gaze of the camera, sidestep caricature and become, or perhaps remain, flesh-and-blood), the clip of the cutting (while immersive and meditative, this is a very fast-paced film), the incredible energy of the camera movements (movements which seem to have no beginning or end, being caught in the midst of motion) …all these elements convey a reality which is not conjured but unearthed. How to explain? Often we are told that our emotional states or psychological reactions are socially conditioned – there is no blank slate. Perhaps, but I suspect there is something more fundamental at work in human psyches – a certain way of seeing that derives from animal instincts or some universal “flavor” of consciousness. Great works of art can tap into this. The Passion of Joan of Arc does – it reminds us that the source of such art is not in the means of expression, but the feeling being expressed. Learn your tools, by all means, to shorten the distance between inspiration and articulation. However, in the end the quality of the feeling will determine the quality of the result. 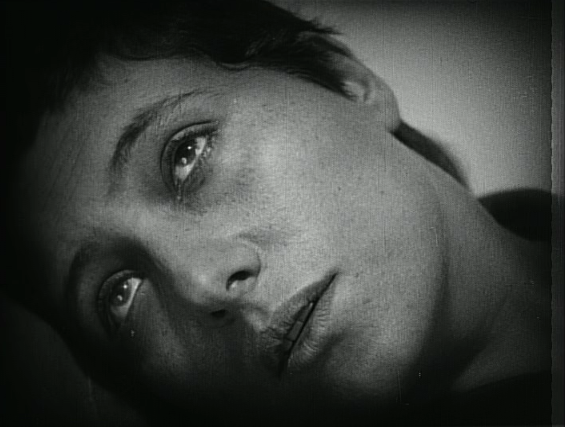 The quality of Dreyer’s feeling, and the feeling he evokes in his collaborators, must have been very fine indeed. The Passion of Joan of Arc appears at 4:25 in "Jazz Age Visions", a chapter in my video series "32 Days of Movies". Of course the central performance from Falconetti is one of the greatest performances (male or female) in the history of cinema. It might be the greatest in fact. You're right though, the ending is rather vague to me at this point. What I remember is all the overwhelming buildup. This film is quite overpowering. I actually can't watch it too often. It's probably been 5 years since I've seen it and will probably be another few years until I watch again. Yes, this and Day of Wrath have to be two of my favorite films ever, but I don't really subject them to repeat viewings (I've only seen this about three, maybe four times, and Day of Wrath, remarkably when I think about - given impression it's made - only once!). Unlike other favorites, I guess I don't want to wear out their welcome - they hit on such a high level that I don't want to dilute the effect, maybe. Or maybe they're just such strong experiences that they need to be saved for special occasions! 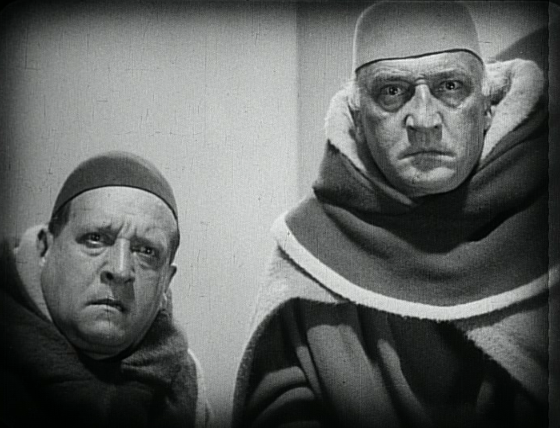 "Dreyer, unlike Eisenstein, is linking shots which create a fluid meaning yet, pregnant with a kind of integral power, could also stand alone – they are not dependent on their connections with one another for their sense of purpose. This is Dreyer’s approach throughout Passion"
I won't go on about the editing, since it isn't the only remarkable thing in the film. The acting is great, heightened maybe, but great. I watched the film in complete silence since the version on YouTube had some weird guitar score and not the traditional one- I read somewhere Dreyer preferred the film be watched in silence though, so you can check that off my list I guess. It was still mesmerizing, and I am eagerly awaiting my next viewing which will be accompanied by music. Yeah, echoing my thoughts exactly! Great way to put it in your description: "I credit the editing for creating this type of atmosphere- the 180 degree rule is thrown out the window. The 1+1=3 theory need not apply here. One shot does not link to the next in terms of classical film storytelling." Last time I watched it, squeezed between a bunch of other favorites on a marathon day, it didn't have the same effect on me as the first few viewings for some reason (I think I've seen it five, maybe six or seven, times). Maybe it needs room to breathe? The Mirror comparison works too. Certain directors do create "experiences" - I'd say Lynch is another, though his experiences are a little different, perhaps less "pure" in their recipe (though not their result) than Tarkovsky or Dreyer. I've always felt one could broadly arrange 4 basic categories of filmmaking/viewing: the Melies/illusionist school of telling an immersive story (what Mark Cousins called "closed romantic realism" of Hollywood as opposed to "classicism" of Ozu); a Bazinian "realist" school which uses long takes and the naturalistic qualities of photography to give one a feeling of moment-to-moment reality unfolding; a Brecht/Eisenstein heightened artificiality which is meant to expose & forgeround the process of making art/entertainment to make audiences aware, not just of that, but of the hidden structures and controls in their own lives; and than a fourth, more surprising, less talked-about category. Films that work as a sort of magic, not to cast a soothing spell like the "Melies"/Hollywood films but in order to create a breakthrough in the viewer's consciousness - a spiritual cinema, so to speak. This is the fourth or fifth time I've written all this down in a comment - I should probably just do a full post on it already, haha. Well, after the Anniversary series is over and I'm hoping writing more regularly again, we'll see. "Maybe it needs room to breathe?" Interestingly enough I watched right after my 4th (maybe 5th, or 4th and a half) viewing of Goodfellas and before my first viewing of Ozu's masterpiece Late Spring during a movie marathon I went on recently. And it was powerful enough that after the huge entertainment and screeching halt of Goodfellas it still completely mesmerized me. And after all the subsequent films I watched it still lingered in my memory.